For someone deaf, like me, DVD’s – because of close captions – are a godsend. Consequently, come Christmas or my birthday my family knows what to buy me. 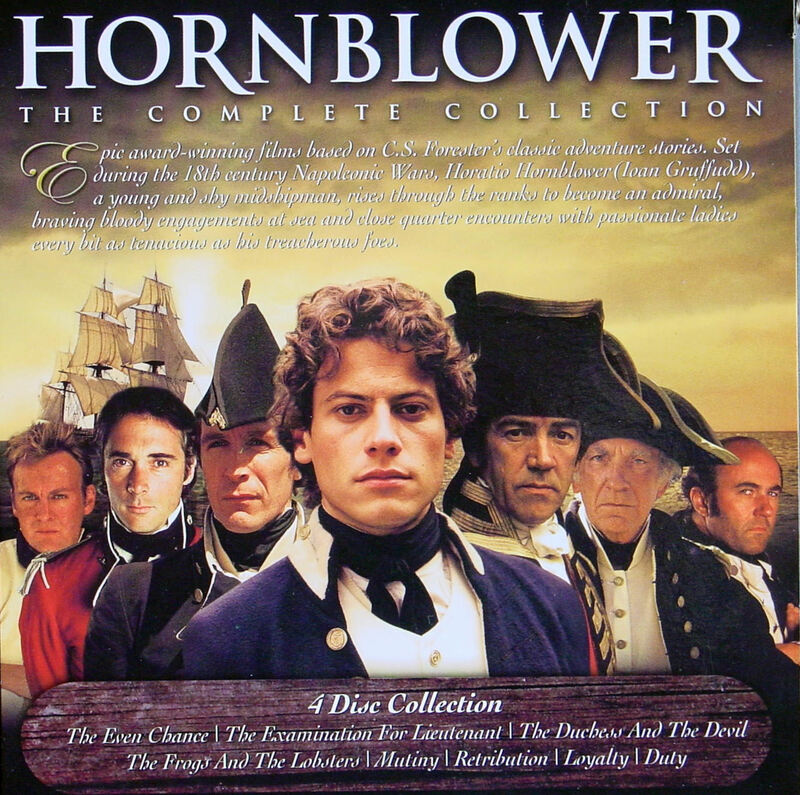 At Christmas 2010 I received the DVD box set of the ITV series, Hornblower, (1998-2003) and I was enthralled! Taken from the C.S. 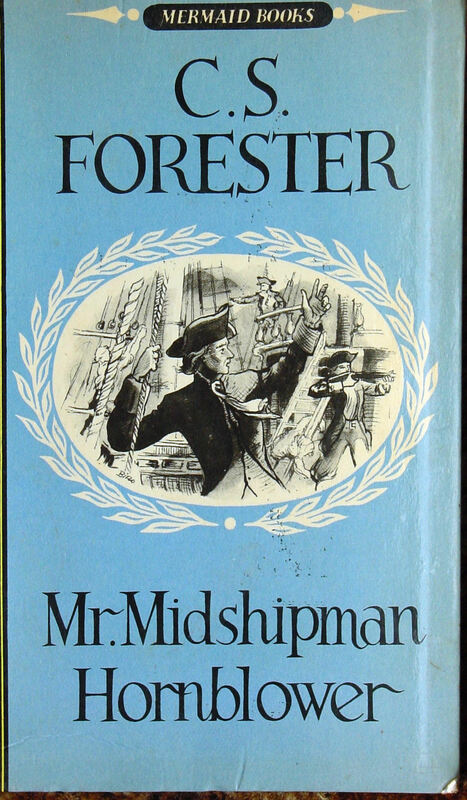 Forester’s books of the same name, the stories centre on the fictional character Horatio Hornblower, a Royal Naval officer during the Napoleonic Wars (1793-1815), and played by Iaon Gruffudd. Horatio’s mentor, Edward Pellew, played by Robert Lindsay, is based on the real life person of the same name. What does not come over, either in the books or the Television adaptation, is that the real Edward Pellew was born in Dover! Edward was born on 9 April 1757 and christened in St Mary’s Church, Cannon Street, ten days later. He was the second of six children of Samuel Pellew, commander of a Dover Post Office packet, and his wife, Constance. Samuel died in 1765 and Constance took her young brood to Cornwall, from where she came. It appears that Edward did not settle in well in his new home so through family influence, when he was 13, he was taken on board the frigate Juno as a ‘Captain’s Servant’. The Captain was a John Stott whom, it would seem, was not to Edward’s liking but the young boy loved the sea. His first voyage was to the Falkland Islands carrying provisions that included two cows, one bull, ten sheep, five hogs and twelve rabbits. Following the severe punishment metered out to a seaman by Captain Stott, Edward lost his temper. He had served the Captain for five years and the Captain responded by putting Edward and the seaman ashore at Marseilles without the wages owed to them! Although destitute Edward managed to wend his way back to England and successfully put over his case. He then managed to secure a position on the Blonde, a 32-gun frigate under the command of Philemon Pownoll. Pownoll came from a nautical background, had the reputation of being fine seaman and was wealthy through privateering activities – legalised piracy. This was 1775 and there were rumblings in the American colonies – the American War of Independence (1776-1783) was declared the following year. 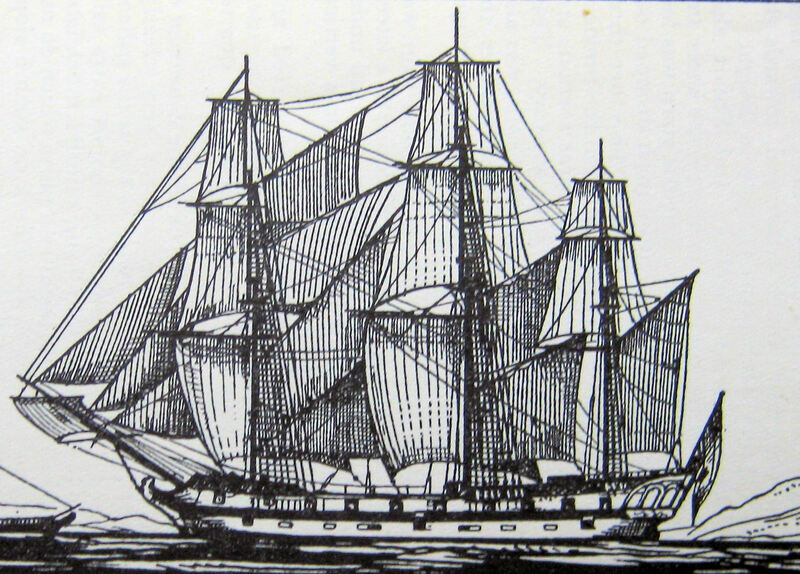 In April 1776, together with the Juno, the Blond went to St Helen’s to collect a convoy of twenty transports carrying troops of General John Burgoyne’s* army bound for North America to fight the British cause. Edward quickly learnt from his new teacher and successfully showed off his seamanship skills. In October 1776, he was third in command of a detachment sent on the schooner Carleton with the remit to take control of Lake Champlain, New York, from the Colonists. This was part of the Battle of Valcour Island but during the action, his two senior officers were badly injured. Instead of retreating, in true Hornblower style, Edward fought his corner and his gallantry was rewarded by the promise of a commission to lieutenant. However, he was obliged to remain on Lake Champlain in command of sailors attached to General Burgoyne’s army through, what turned out to be, a particularly hard winter. During this time, Edward showed both finesse and courage in capturing desperately needed provisions from the Colonists as well as what nature could provide. During the Battle of Saratoga (19 September and 7 October 1777), Edward was taken prisoner and his younger brother, John, was killed. General Burgoyne surrendered on 17 October 1777 and Edward was repatriated home. He finally received his promised promotion in January 1778. Three months later Edward was offered, by Captain Pownoll, the post of first lieutenant on the Apollo. On 15 June 1780, in an engagement against a French frigate off Ostend, Captain Pownoll was killed but although Edward successfully took command, he had lost a powerful patron. He did, however, manage to secure the command of a couple of sloops and was appointed temporary captain of the frigate, Artois. Then Edward’s career languished. He was forced to accept a landlubber’s life and tried farming at which he was hopeless! Albeit, during this time, he married Susannah Frowde of Knowle, Wiltshire on 28 May 1783 and to aid his finances helped his brother who was a collector of customs. Across the Channel, in France, the Revolution had occurred in 1789 and on 1 February 1793, France declared war on Britain. At the very beginning of the Napoleonic Wars (1793-1815) Edward applied for a ship and was appointed to the Nymphe, a 36-gun frigate with a skeleton crew of officers and about a dozen sailors. Recruiting eighty Cornish miners and pressing merchant seaman from Dover and other Cinque Ports, he increased the number to 240. Edward trained his men hard but had the reputation of being fair. On 19 June 1793, they captured the French frigate, Cléopâtre, with a crew 320. 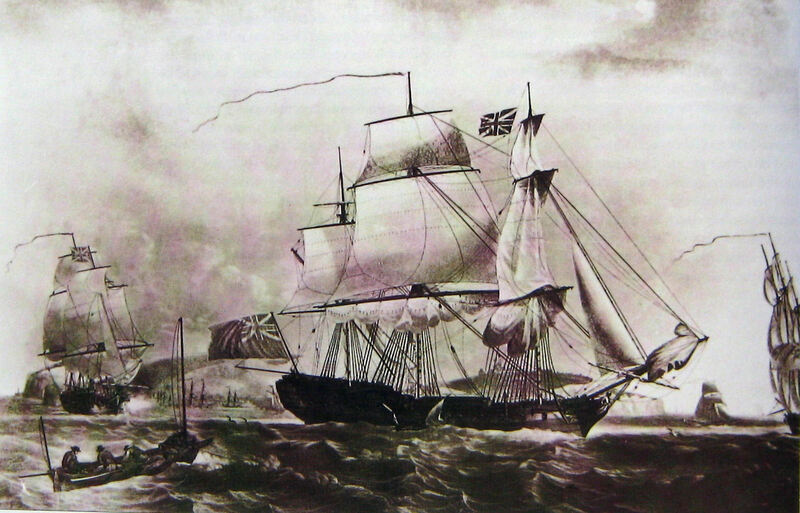 The first frigate taken in the war for which Edward was knighted. Sir Edward’s brilliant seamanship, determination backed by a fiery temper and heroics were all highly esteemed and on being given command of the frigate, Indefatigable, his exploits against the French became legendary. Famously, in February 1796, Edward was Plymouth when a storm blew up, which put the Dutton, an East Indiaman, on Plymouth Sound. The ship was to transport troops to the West Indies. The officers and most of the crew had managed to get ashore the ship was breaking up. On board, there were still some 500 people, including a skeleton crew and women and children. Edward organised two rowing boats to carry hawsers – heavy ropes for towing and mooring. A large and powerful man, Edward swam to the stricken vessel, still dressed in full uniform including sword! On board, the crew accepting their fate had broken open the spirit room but Edward, wielding his sword, soon restored order. He then instructed the crew to haul the ropes on board and once secured the passengers and crew was winched to safety. For this, Edward was created a Baronet. Over the following years, he and his crew captured fifteen enemy cruisers but after the Peace of Amiens in 1802, Edward had to return to farming. Elected MP for Barnstable he made a significant parliamentary speech against proposed naval reform arguing that it was detrimental to seamen. When hostilities against the French resumed Edward returned to what he could do best and in March 1803 was appointed to the 80-gun Tonnant. The following year he became the Rear Admiral of the White in the East Indies but this required him to resign as an MP. Edward stayed in the East Indies until February 1809, during which time he promoted the careers of two of his sons and made a fortune for himself by privateering a Spanish treasure ship. With his new found wealth, he purchased a large house in Teignmouth, Devon, and a country estate on the outskirts. His naval career went from strength to strength and eventually, in 1814, Edward was appointed full Admiral and created Baron Exmouth. Following victory at Waterloo in 1815, Edward had expected to be retired from active service and was preparing to take a positive role in the House of Lords. As one last job, he was given command of an Anglo-Dutch fleet with the remit to bring about and conclude treaties with the Barbary States of North Africa. This was expected to be a low-key task, but with Edward in charge, even the British Government should have thought that unlikely! Edward’s squadron consisted of five ships of the line, nine frigates and smaller warships and they set off on what looked like a relaxing cruise. However, on the way down to the Mediterranean Edward received word that the Dey of Algiers, on the Barbary Coast, had massacred some 200 Christian fishermen. Further, the Dey was holding over 1,000 Christians as slaves within the heavily fortified city – Algiers was said to be impregnable. Immediately, Edward ordered that all the crew were to be trained and drilled and he told them what he expected of them. On the approach to Algiers, he put some of his men on shore to do a reconnoitre. On the information they gathered, he instructed his fleet to position themselves off Algiers and then subjected the city to strategically aimed heavy bombardment that lasted seven hours. The following morning Edward invited the Dey of Algiers to diplomatic talks. These included surrender, releasing all of the Christians and the signing of the Treaty – the task he had been given in the first place! Although Edward had successfully fulfilled his remit, the toll on human life was said to be greater than any of the sea battles during the whole of the Napoleonic Wars. On returning home, Edward was created Viscount Exmouth and became a voice in the House of Lords on behalf of sailors. 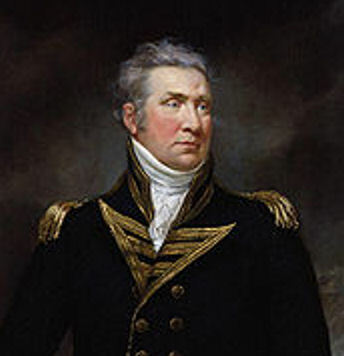 On 15 February 1832 was made Vice-Admiral for the United Kingdom but less than a year later he died, on 23 January 1833. Edward was buried at Christow, Devon. His brother, Israel, also born in Dover and also enjoyed a brilliant naval career but he was not used as prototype for Hornblower, so is largely forgotten. 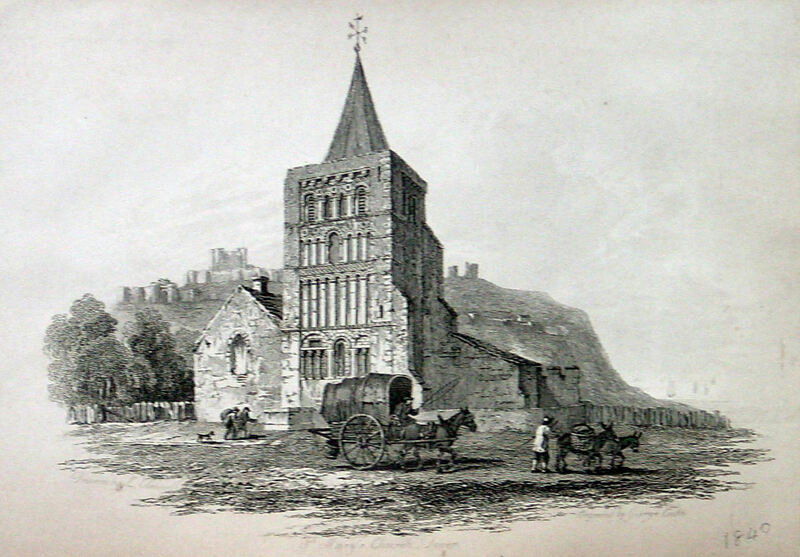 In Dover there is nothing to indicate that such a celebrity as Edward Pellew… during his lifetime, fictionalised by C S Forester and recently through a major television series … was born in the town. *General John Burgoyne (1722-1792) British Army Officer best known for surrendering his entire army of 5,800 men on 17 October 1777 to the American Colonists that proved to be the turning point in the American War of Independence. In Dover, a fort was built on the east cliffs behind the Castle in the 1860s and named after the General. These days there is a housing development nearby called Burgoyne Heights. This entry was posted in Pellew Admiral Edward - A local hero, Pellew Edward, 1st Viscount Exmouth - A local hero, People. Bookmark the permalink.